Look around and you’ll notice... the world is covered with jagged edges. People are broken all over the place. Places are broken all around us. But we were made for better than this: We were made for shalom. 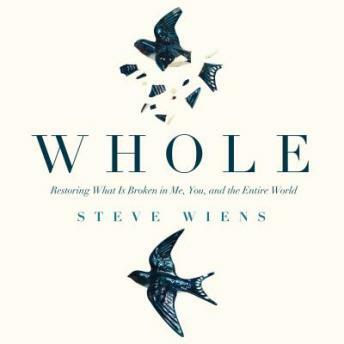 We were made to be whole — and to make things whole. This is an empowering journey for those who hunger for a better life, for a better world... for those who want to plant and grow the seeds of restoration in themselves and their communities . . . and for those who want to see the jagged edges made smooth as we move from brokenness to wholeness.